Add P’Aor to your Bangkok restaurant bucket list immediately. It was one of the top three meals I ate in Bangkok, and probably one of the top five meals I’ve ever eaten anywhere. 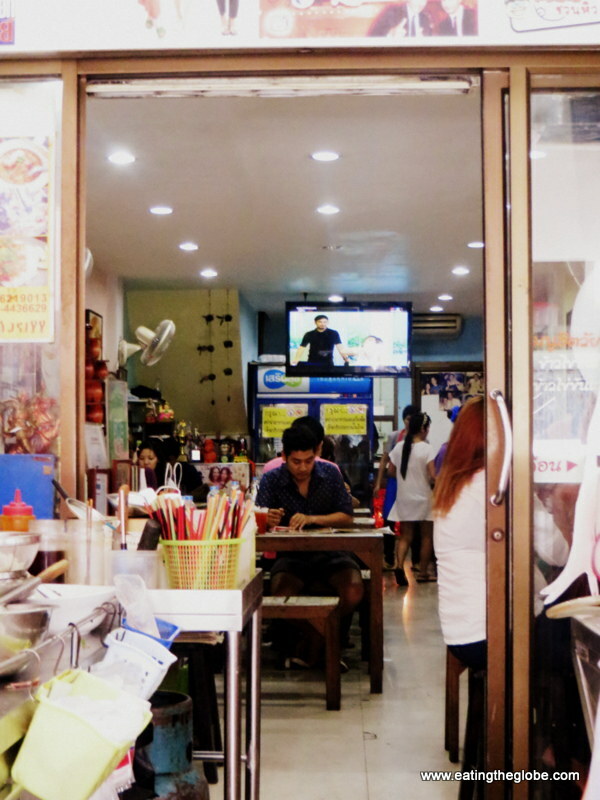 I first heard about this restaurant on the blog Eating Thai Food, one of my favorite websites when it comes to searching for a Bangkok restaurant. 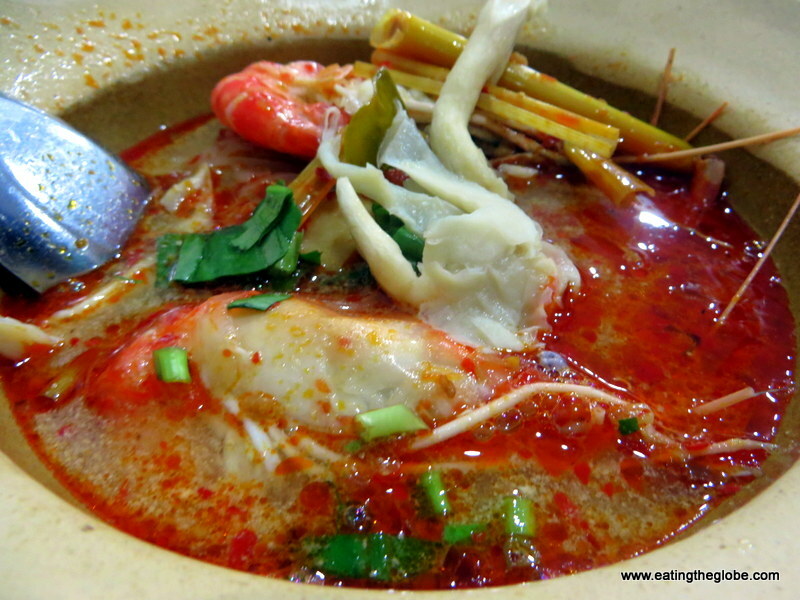 P’Aor is best known for its tom yum goong noodles, and trust me, it’s really well-known. I thought I’d outsmart the crowds and go for a late lunch at 2 pm, but that didn’t work. I still had to wait in a line outside, and looked longingly inside, the same expression on my face as that of the lost cats that wandered the neighborhood. The wait wasn’t all bad, though. I got to watch the huge prawns being prepared for the tom yung goong I was about to eat from this famous Bangkok restaurant. 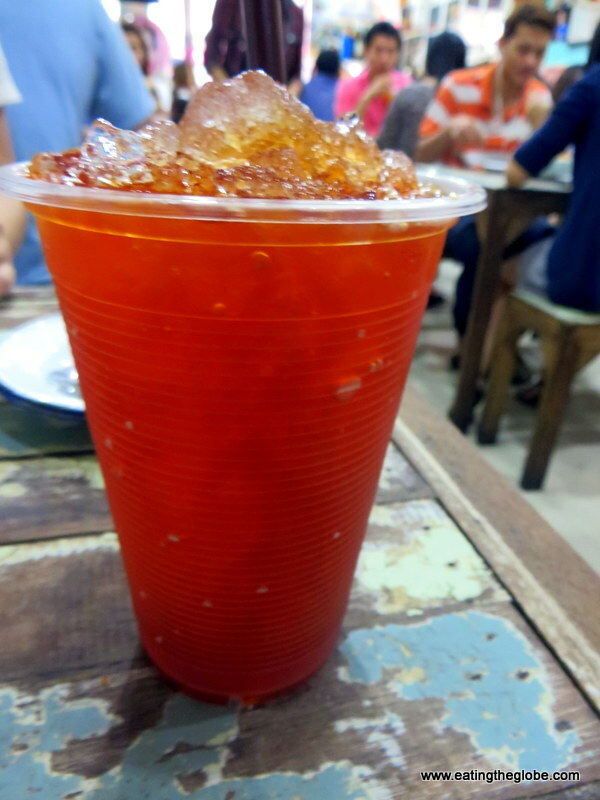 Once you are seated, do yourself a favor and immediately order an iced lime tea (cha manao) to quench your thirst. It is absolutely delightful and makes a perfect pairing to the food that is to come. I began my meal with the Khao Goong Rad Sauce Man Boo. (Don’t ask me where they get these names!) Man Boo is a little joy ride of all the sweet richness inside the head of the shrimp. Don’t worry, most of this is just fat, and it really is the most flavorful and exciting part of the shrimp. Yeah, so what, the shrimp head looks like a bug. Oh,? You only eat cute animals? Seriously, just order this dish. You can thank me later. And, for the grand finale, I ordered what I had originally come here for. Tom Yung Goong Noodle perfection. Do you see that creaminess, the beautiful slick texture of the soup? That is derived from the shrimp heads that you probably avoided earlier. This soup can only attain perfection with that head goodness, so dig in, my friend. A world is about to be revealed to you. This perfect masterpiece of Tom Yung Goong was the perfect balance of hot and sour, fire and spice. It satisfied cravings I didn’t know I had, and, yet, left me hungering for more. Go now. Order this. It will be the best $2 you ever spend. You’re welcome. Would you eat the shrimp heads? Let me know in the comments below! 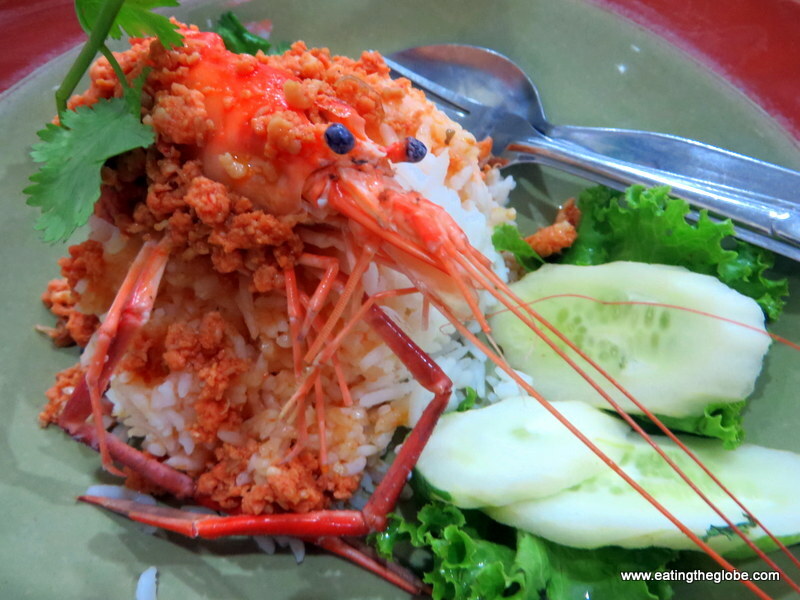 10 Responses to "P’Aor-A Bangkok Restaurant You Don’t Want To Miss"
Glad you liked this place and thanks for mentioning ETF! Definitely will eat the shrimp heads.. They’re the best bits! Great post, BTW! Yes, they are so good!! Love love love! I made the trek to find this place and oh so worth it. I had the Tom Yum Goong noodles and iced tea. Superb! I’ll be coming back. Awesome recommendation, thanks. I am so glad you liked it Rebecca! 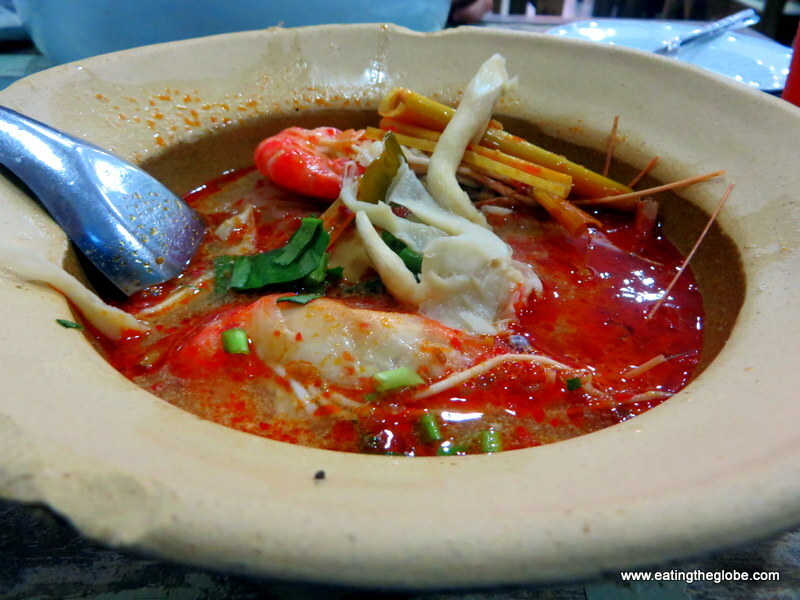 Definitely the best Tom Yum Goong in Thailand! 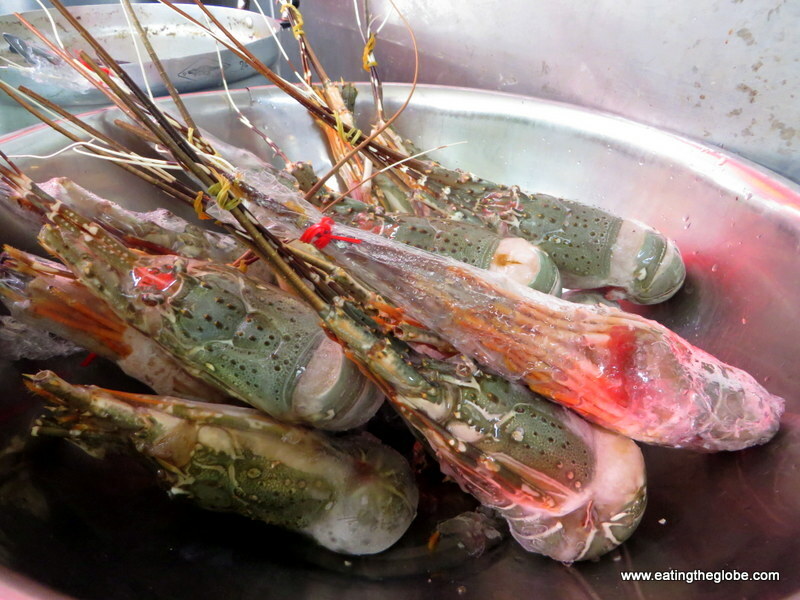 Anyone who avoids the succulent taste thrill of sucking on the prawn heads – is missing the whole point..! I’m a food lover…I live to eat…about this tom Yum goong….OMG….just one advice…if u havent try this dish here…don’t event think of dying….I have tried this this all over Thailand…this one is tops it all till now…enjoy friends…and happy eating..
Hey Valen, is it opening on monday also? I’m not sure. I would try Googling their hours.